Back in 1975, things seemed a little more black and white, including the premiere issue of TimberWest, published by John Nederlee out of Edmonds, Washington. The magazine was entirely black and white, except for the cover. In 1999, John Nederlee sold TimberWest to Rob Stanhope of Logging and Sawmilling Journal. A number of staff came on board then, too, including Publisher and Project Manager, Sheila Ringdahl; Editor, Diane Mettler; and Sales Representative, James Booth. All three are still with the magazine, and with a deep knowledge of the industry, together bring valuable editorial content to the readers. 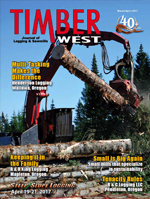 Each issue of TimberWest is packed with valuable and useful job stories on successful mechanized harvesting plus wood processing techniques. Also included are special editorial features, timely information on legislation, industry news, and annual events. TimberWest has also been the Official Show Guide for the Oregon Logging Conference for nearly 20 years. Although TimberWest still arrives at homes and businesses every other month (it went full color a couple of decades ago), TimberWest, has also gone digital, allowing it to reach a global audience. Today it provides even more content to its readers through digital editions, a bi-monthly newsletter that includes not only timely industry news, but a calendar of events. 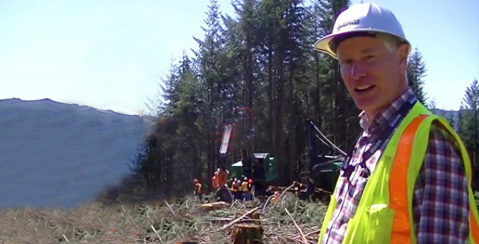 TimberWest also reaches out to its audience via its thousands of followers on Facebook and Twitter. It’s been over 40 years since TimberWest printed it’s first black and white issues, and the team is making sure TimberWest will be there to provide readers valuable content the next 40 years! Rob is the owner of LSJ Publishing Ltd. He comes from a third generation forest industry family—his brother is a hand faller and his nephews are heavy duty harvesting equipment mechanics. Rob grew up in Sayward, a small logging town on Northern Vancouver Island, before his father was transferred to Port Alberni to take on new responsibilities with forestry giant, MacMillan Bloedel. Through high school he worked at the Somass cedar mill and later, while at UBC, held a number of a forestry jobs in the grading, log booming and yarding departments at various MB divisions. 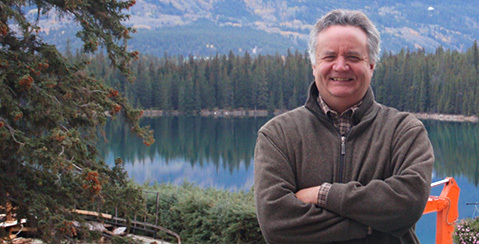 Upon graduating with a BA in Economics in 1980, Rob joined a small forestry publisher, Journal of Logging, which was subsequently purchased by the large Toronto-based publishing company, Maclean Hunter Ltd. In 1993, he had the opportunity to purchase Logging and Sawmilling Journal from Maclean Hunter. Rob’s understanding of the forestry industry publishing business enabled him to add U.S.-based TimberWest Magazine to the business in 1999, and the Madison’s Mill Directory in 2005. When not working or spending time with his family (wife and two grown children), Rob enjoys the outdoors, including, hiking, skiing, and cutting wood on his portable sawmill. In fact, Rob enjoys just about every outdoor activity that does not involve a stick, a ball or a puck. Sheila’s career in the publishing industry started right out of high school at a small independent printing company in Fargo, North Dakota. Throughout her years at North Dakota State University, she also worked at a web press facility. After completing her B.A. degree in Fine Arts in 1994, (emphasis in photography) she worked full-time at Forum Communications, the largest newspaper in North Dakota, as the assistant production manager. It wasn’t until 1998 that her family relocated to Edmonds, Washington where she met the owners of TimberWest, John and Shirley Nederlee. At TimberWest, she initially worked part time as the graphic artist and in 2000, when the Nederlee’s retired, she came on full-time and has worn many hats in the company since then. Growing up amongst farmers and lovers of the land in North Dakota, she sees many similarities to the forestry industry, especially the people. Photography and the arts is a true passion of hers, along with spending time with her four kids and husband. TimberWest magazine remains in Edmonds, only a hop, skip and a jump from where it landed in 1975. Paul has been involved with the Canadian forest industry for many years, working for forest industry publications and one of Canada’s major forest companies. He started his career working as a reporter on daily newspapers, and moved into magazines and corporate communications. As Editor of Logging and Sawmilling Journal, Paul has been fortunate to visit logging and sawmill operations throughout Canada. He has a family connection to the forest industry—Paul’s great grandparents ran logging and sawmilling operations in Northern Ontario. Raised in the Pacific Northwest, Diane and her family have been involved in both the dairy and logging industries. 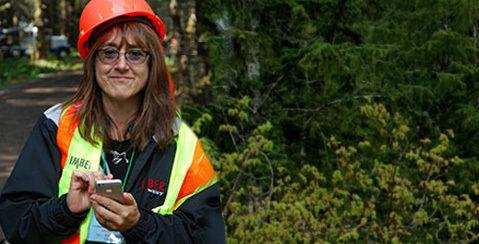 She wrote for industry giant Weyerhaeuser before coming on as editor at TimberWest in 1999, and has enjoyed helping promote the forest industry through stories about innovative loggers and their cutting-edge work. Diane also feels lucky to work with a team of industry-savvy writers from all over the region, many with decades of experience. On a side note, Diane is also a screenwriter and teaches writing at the University of Washington. James began his advertising career with the Williams Lake Tribune during the 1970s, after retiring from a career in professional hockey. He moved to Maple Ridge, B.C. in the 1980s to take up an advertising sales position with the Maple Ridge News. James later became a partner in the business and was part of a team that developed the News from a twenty-four page, weekly newspaper to an eighty-plus page, three times a week paper covering Maple Ridge, Pitt Meadows, Port Coquitlam, Coquitlam and Burnaby. 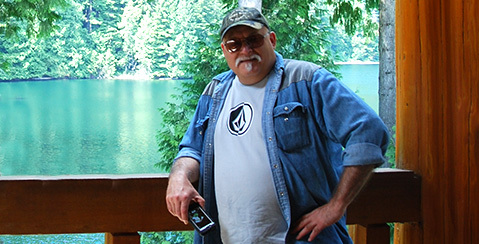 James’ experience eventually lead him to the role of Sales Manager of the Coquitlam office. Utilizing his extensive experience in sales and marketing, James joined the TimberWest Magazine team in February 2002 in the role of Sales Manager. 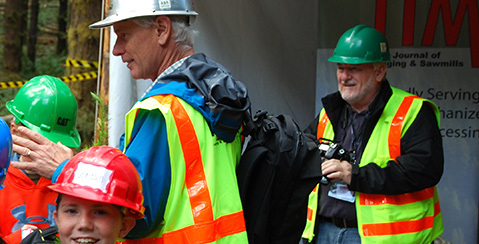 James is a strong supporter of the forest resource industry and attends many of the major industry events annually. Outside of the office, James enjoys spending time with friends and family. Perry was raised in Kamloops, B.C. He began a radio career there that included marketing and advertising agency experience. 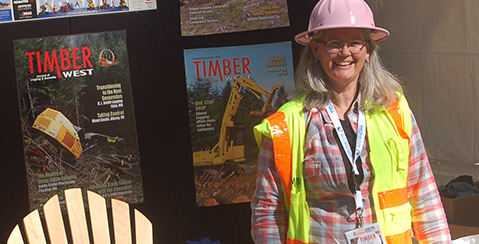 Perry has been in the magazine publishing industry for over 30 years and has been associated with Logging and Sawmilling Journal since the early 1990s. Perry enjoys all that British Columbia has to offer, and spends as much time as possible in a boat or out camping with the family.